Once, in a small town, there lived a dozen or so turkey vultures. Every day, they would all gather on high places like totem poles or electrical wires and look around for food. But it was during Thanksgiving break that all of the vultures that lived in the town gathered together to decide what to do for all of the people who didn’t have anything to eat for Thanksgiving. They all gathered on top of a church steeple to discuss what they should do; people passing by thought all of the vultures on top of the church steeple were somewhat disturbing, especially since it was a Sunday. Because there was a shortage of turkeys that year in the town (Reginald the Commander Turkey had been doing his job very well), the vultures all decided they would fly to another state to get the turkeys to bring to those who did not have much for Thanksgiving. On Monday morning, the vultures woke up early and started flying east to Mississippi from Louisiana to another small town. They all flew to a Wal-Mart in Mississippi and sneaked into the back room by a skylight. Of course, turkey vultures thought that good food was the kind that was dead. Each vulture picked up a turkey from the freezer to take home. 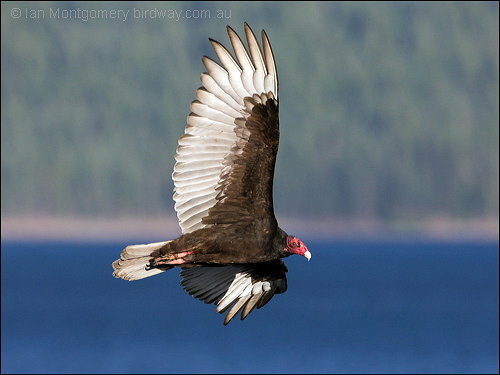 It was a bit difficult to fly home with a giant frozen turkey, but one by one the vultures flew out of Wal-Mart and began to fly back to Louisiana. 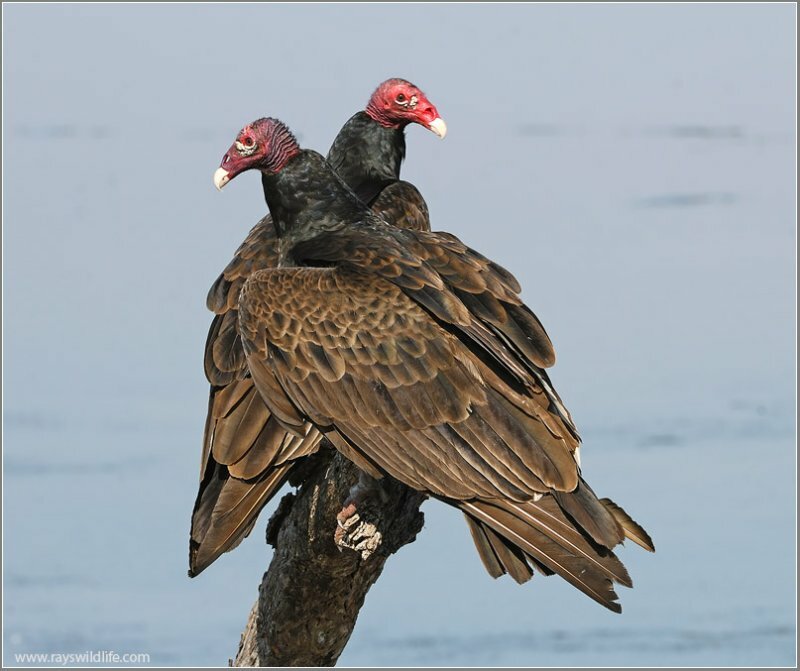 It took them a long time to fly back from Mississippi, so by the time the vultures returned to Louisiana, it was Thanksgiving Eve. 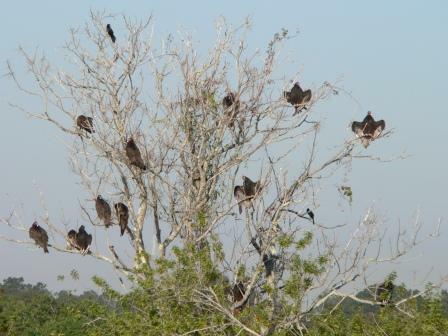 Each of the vultures flew in different directions to different houses in several neighborhoods. They each set a turkey by the front door of the houses and rang the doorbell. Whenever someone opened the door, they would find a turkey with a little card attached to it that said “Happy Thanksgiving.” from TV.